The Defense Acquisition Program Administration(DAPA) on Tuesday held a keel laying ceremony for the three-thousand-ton Jangbogo-III Batch-I submarine in Geoje, South Gyeongsang Province. 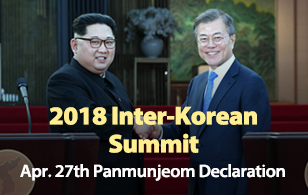 With the ceremony, full-fledged work will begin to assemble the submarine that will be designed and built with South Korean technology for the first time before its expected deployment in 2020. In December 2012, the DAPA and Daewoo Shipbuilding and Marine Engineering signed a deal on designing and building the submarine. Since then, they have carried out design work and in November 2014, they launched construction efforts. 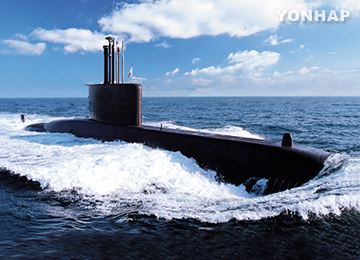 The defense agency plans to build three Jangbogo-III Batch-I submarines between 2020 and 2024. In the submarine, six vertical launch systems will be installed to enable the launch of ballistic missiles. South Korea’s military is said to be planning to equip the submarines with Hyeonmu 2-B ballistic missiles, which have a range of more than 500 kilometers.